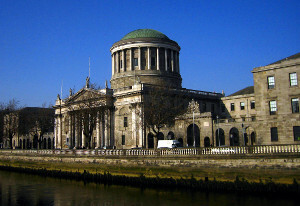 A man who entered the state illegally in 2004, and made over €30,000 in false welfare claims prior to acquiring Romanian nationality in 2016, has had his application for judicial review refused in the High Court. Refusing to quash the removal and exclusion orders made against him, Mr Justice Max Barrett was satisfied that the impugned decision was based on multiple factors duly considered in conformity with law and did not breach EU legislation. In 2004, Mr Ivan Zaporojan, then a non-EU national, entered Ireland using false identity documents, and from 2008 to 2015, he made false welfare claims of over €30,000. In 2016, Mr Zaporojan acquired Romanian nationality. In 2017, Mr Zaporojan was convicted of 6 deception offences and custody of a false instrument and was sentenced to 3 years’ imprisonment with 18 months suspended. In March 2018, the Minister for Justice and Equality issued removal and exclusion orders against him, affirming these orders in April 2018. In the High Court, Mr Zaporojan sought, inter alia, a quashing of the Minister’s decision to affirm the orders in April 2018 (hereafter the ‘Impugned Decision’). The nature/severity of the offences of which he was convicted (though not solely the convictions in themselves). Mr Zaporojan claimed that he was guilty of one continuous criminal activity and disputed that he had a propensity to criminality. Mr Zaporojan contended that the underlying reason for his past criminal behaviour no longer existed since he was an EU national (i.e. his need for false documents to enter Ireland). However, considering Article 27(2) of the Citizens’ Rights Directive (Directive 2004/38/EC) and the Minister’s “grounding reasons”, Mr Justice Barrett said that the Minister was open to take the view that Mr Zaporojan’s history raised the question of whether he was a “law-abiding and a positive member of Irish society”, and that Mr Zaporojan showed no respect for law and was “willing to subsidise his … lifestyle through fraud and deception” (thereby occasioning a perturbation of social order). Mr Justice Barrett also said that Mr Zaporojan was guilty of multiple instances of (prolonged) welfare fraud which only ended when he was caught. As such, his argument that the underlying reason for his criminal behaviour no longer existed ignored a key focus of the Impugned Decision – i.e. his protracted history of welfare fraud. Mr Justice Barrett was satisfied that the Impugned Decision did not breach Article 27(2) of the Citizens’ Rights Directive, nor did it breach Regulations 20(1) or 20(7) of the EC (Free Movement of Persons) Regulations 2015. Mr Justice Barrett also rejected Mr Zaporojan’s contention that the Minster breached Article 27(1) of the Citizens’ Rights Directive by restricting free movement to serve “economic ends”. Mr Justice Barrett again emphasised that Mr Zaporojan was convicted of “inter alia, welfare fraud”, and the Impugned Decision rested on the Grounding Reasons – not to serve some economic end. Stating that there was no issue as to proportionality, Mr Justice Barrett similarly rejected Mr Zaporojan’s submission that in making the Impugned Decision, the Minister sought to protect the public finances. Mr Justice Barrett was also satisfied that the Minister duly considered Mr Zaporojan’s ties with the state, his right to respect for family life, and his responsibilities to family abroad. In regard to considerations of family life, Mr Justice Barrett said that the decision was made on the facts then known to the Minister – and that additional family information provided to the court as part of the present application could not be considered as it was not before the decision-maker. Mr Zaporojan also identified the suspension of his prison sentence as a factor which the Minister out to have properly regarded, however Mr Justice Barrett said that this was a ‘false factor’ as there was nothing in the Circuit Court records to suggest that partially suspending Mr Zaporojan’s sentence was to do with rehabilitation. In the Impugned Decision, the Minister concluded that an exclusion period of five years was required in light of Mr Zaporojan’s false entry into Ireland in 2004, his history of fraud, and his convictions. As such, Mr Justice Barrett was satisfied that the Minister explained why he elected for the 5-year exclusion period and did not need to expressly identify why he did not impose a lesser period (Balc v Minister for Justice and Equality  IECA 76 considered). Mr Justice Barrett also rejected Mr Zaporojan’s submission that his removal from the state on 21 April 2018 was in breach of Article 30 of the Citizens’ Rights Directive. Mr Zaporojan argued that, upon being notified of the Impugned Decision in April 2018, the Minister ought to have given him a fresh one-month notification of his removal from the State, however Mr Justice Barrett said that this line of contention had been previously rejected in PR v Minister for Justice and Equality & ors  IEHC 201. Stating that there was no evidence to support the contention that the Minister improperly fettered his discretion by operating some fixed policy, Mr Justice Barrett refused all reliefs sought by Mr Zaporojan.